The most popular beach for a reason: Myrtle Beach is fun! 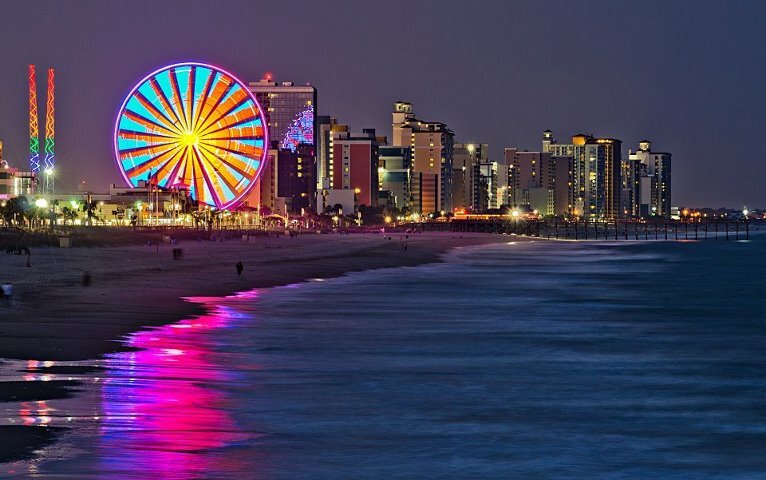 If you are having a vacation or planning for one, why not try the Myrtle Beach vacations? As a beach city, Myrtle Beach is among the beach vacation destinations in the United States. Located in South Carolina, the beach stretches for sixty miles. Its sands are soft and sandy, and the accommodations can be from Central Myrtle Beach, North Myrtle Beach, South Myrtle Beach, and Litchfield Beach & Pawleys Island. In Central Myrtle Beach, you will see many oceanfront hotels and resorts, as well as motels and condo rentals. Included in the attractions in this area are the Myrtle Beach State Park, Family Kingdom, Ocean Boulevard, Ripley’s Aquarium, Broadway at the Beach, and theaters. There are also endless shopping and dining options. For Myrtle Beach vacations in home rentals, oceanfront resorts, campgrounds, and many other lodging options, you may try the North Myrtle Beach. You can also check out the northern Grand Stand area including the Windy Hill, Ocean Drive, Crescent Beach, Cherry Grove, Little River areas, and Atlantic Beach. The South Myrtle Beach which stretches along the southern Grand Stand region, you will take delight in the Surfside Beach, Garden City Beach, and Murrells Inlet. In this area, there are several home rentals, resorts, hotels, and additional vacation rental selections like villas and condos. This region is also home to Murrells Inlet Marshwalk and waterfront dining, Wild Water and Wheels, and Legends in Concert. Going further south, you will spot the Litchfield Beach & Pawleys Island, home to spectacular golf and sprawling plantations. Regardless of your standards in lodging, you are assured that your Myrtle Beach vacations are among the most memorable. Amenities may include swimming pools including kiddie pools and lazy rivers, tennis courts, bars, café, restaurants and full resort service. If you need to check your e-mail, there are choices such as having a wi-fi connection in your room or go somewhere within the vicinity that is a hotspot for wi-fi connection. In some hotels, the accommodation package may include unlimited rounds in playing golf on the beach city’s golf courses that extend even on some rolling hills. Each golf course is designed to protect the wildlife and natural habitat indigenous to the region. Some of the architects of the golf courses are Arnold Palmer, Robert Trent Jones, Jack Nicklaus, and Greg Norman. While there, you can have fun with the endless entertainment and attractions such as amusement parks, historical sites, water sports, and casino cruising. In casino cruising, there are free drinks given while you play your favorite games such as craps, roulette, blackjack, Texas hold’em, let it ride, and 3-card poker. There are hundreds of slot machines available as well. A few events that you should not miss while you are on your Myrtle Beach vacations are Sun Fun Festival, Beach Boogie & BBQ Festival, Canadian-American Days Festival, and Grand Stand Fishing Rodeo. Fishing is also an activity sought by most Myrtle Beach vacations goers. You can go on saltwater fishing and charter fishing. Many try the city’s movie theaters, concert halls, dinner shows, live theater, and variety shows on the Grand Stand.